When you are in the process of putting a new asphalt shingles on the roof of your home or business, you may have lots of questions to ask about the shingles. A few of these things might be how to pay for it, how much will the insurance cover and what your deductible will be. You may wonder how long they are meant to last and what kind of warranty you’ll get. Then there are the question about who to hire to do the work. Well, we can answer the last question easily. Tim Leeper Roofing is the roofer to call for any roofing work in the Nashville area. We do residential and commercial roofing and do repairs and replacements. One question that often gets overlooked when choosing the shingles is what color shingles to buy. While this might seem frivolous to some, the color of the shingles you put on your house has a real impact in your life. We’ll look at some of the factors you should consider when making your color selection. Even if you think black shingles would look amazing, remember that dark colors absorb heat and light colors reflect heat. The color of your shingle can make a difference of up 40 degrees. If your home is surrounded by large shade trees, you can pick a darker color more easily than if you are in a new development with only immature trees. How your house looks from a distance is called curb appeal. It can affect the value of your home and can help or hinder it’s ability to be sold when you go to sell it. Picking up on a trim color is a good idea, or coordinating (not matching) with the stone or brick on your home is a good idea. Don’t make your choice based on trim colors since those can be changed. Light colors tend to make homes look larger while dark colors make homes look smaller. 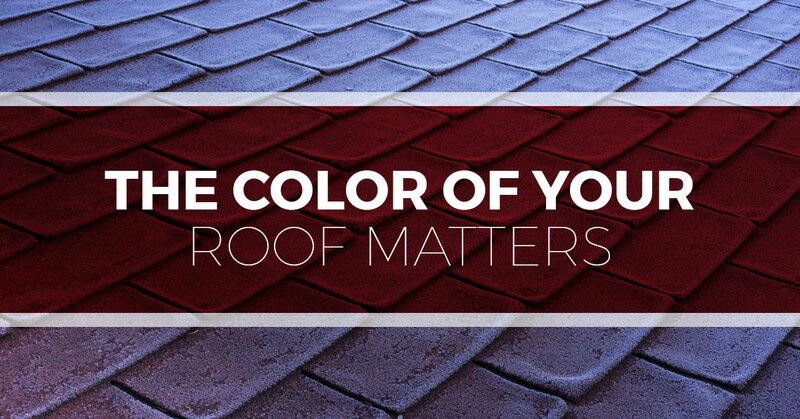 Before you place your order, check with your HOA to be sure there are not any rules dictating what color roofs are allowable in the neighborhood. Consider the type of architecture of your home when choosing a roof shingles. For example, if you have a plantation style home, a metal roof would ruin the classic look of your pillars and balconies. Tim Leeper Roofing uses these singles because they are highest quality. They incorporate the latest technology in their SureNail shingles. This technology makes the shingles fight better together and makes them more resistant to wind. When you are looking for a roofing company to replace your old roof or to install a new roof on a new construction home, give Tim Leeper a call for a free estimate.